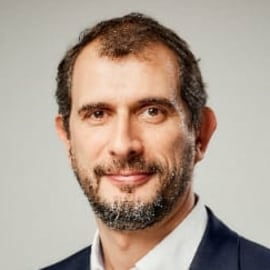 Albert Muntane Casanova is a Senior Vice President in Aviation Financial Consultancy at DVB Bank, where he works on aviation finance advisory (including M&A projects). He joined DVB in 2016, as SVP Aviation Research, where he focused on airline analysis looking at strategies, business models, competitive analysis, fleet and network. Albert holds a general management degree from Instituto de Empresa Business School and a BSc in Business Administration from Autonomous University of Barcelona. Prior to joining DVB, Albert worked for Air Europa, Spanair, Accenture and the Spanish Ministry of Foreign Affairs.